Use the power of Google to collect news from multiple major news sources, and local sources as well, based on your settings. The app also caters articles specifically to you based on your recent Google Searches. Perhaps you were searching for U.S. election topics or movie trivia — the Google News & Weather app can use that information to display stories with the latest news on election candidates or movie stars. 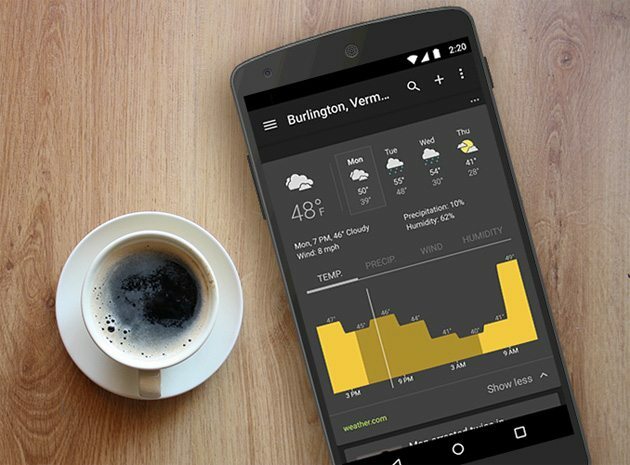 Plus, you’re able to check the weather in one of the most intuitive layouts we’ve ever seen, with hourly tracking and the weekend forecast. With over 20 million downloads, and a recent valuation at $500 million dollars, SmartNews is one of the best news apps yet. Originally developed in Japan, this app focuses on a very simplistic, clean interface to let you get straight to news articles. You can set certain times for articles to be downloaded, such as first thing in the morning, or when you have access to wi-fi. Articles will be ready for viewing when you are. 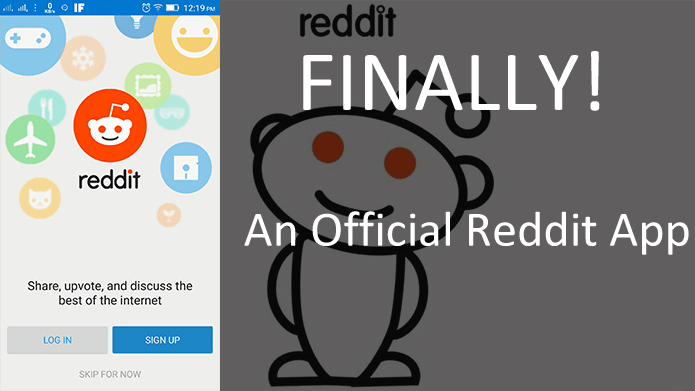 All major news sources are included and categorized by tabs, which are essentially your typical news sections such as “Sports,” “Business,” and “Entertainment.” Also, articles that are trending based on real-time social media shares are featured front and center, so you don’t miss the hottest news. 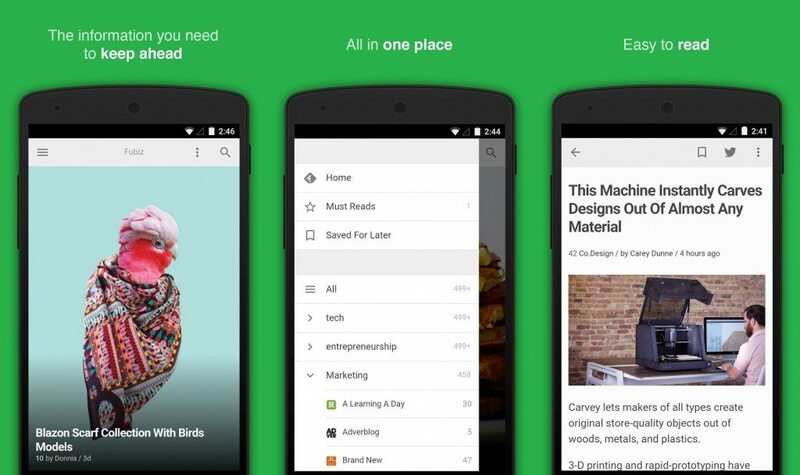 While you can choose major news sources with other apps, Feedly allows you to curate your own categories and newsfeeds across multiple topics. Sure, you can set a general news category to pull from the majors, but with Feedly, you can also create niche categories such as “Tech News” or “Video Games” and receive news articles AND blog posts from experts in the industry. The beauty of Feedly is that it also will simplify articles for better reading, stripping the article of any extraneous ads, unnecessary links, and any other excess noise. Of course, you could access the direct link to the article on its respective website, but we love that Feedly uses a similar format for every article, regardless of source — it’s a style of reading you can get used to. It happens to many of us that read the news online: quite a few articles and their headlines will catch our attention, but there isn’t enough time at the moment to read them all. We may bookmark them for later viewing, but unless we’ve created a sophisticated bookmarking system, we end up inundated with hundreds of bookmarks not knowing what’s been read yet, or what needs to be read next. 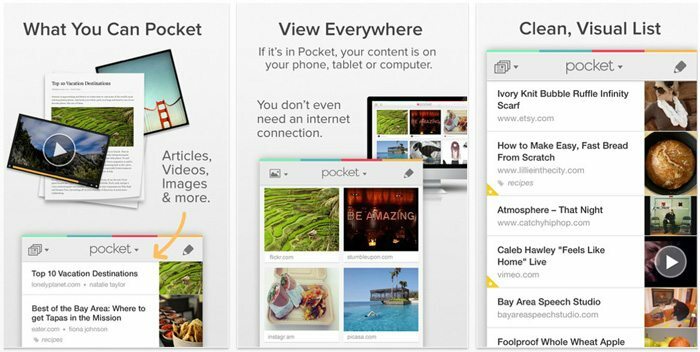 The Pocket app is all about saving articles for later viewing, but in a simplified, organized manner. While it’s not a revolutionary idea, it’s certainly better than regular bookmarking in your browser, since Pocket not only allows you to mark links as read (like an inbox), the app also reformats your saved articles for better readability, stripping out any unnecessary formatting. 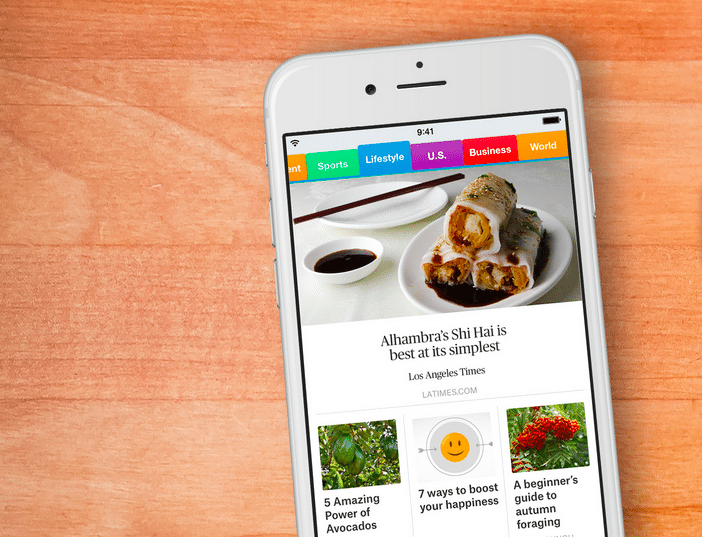 Reading news in Pocket is more efficient, and you’ll be reading the stuff you want to read in no time. There are thousands of sources of news, from major news sources to blogs, and it’s up to you to determine what’s important to you, and these apps are designed to help you sift through all the noise and get what’s relevant to you easier and faster. What is your favorite way to get the news on your mobile device?